Lamh Dhearg won the Antrim SFC title last year, beating St John's in the final. Picture by Cliff Donaldson. REIGNING champions Lamh Dhearg are set on an early collision course with the Cargin side they dethroned in this year's Northern Switchgear Antrim SFC. The Lámhs saw off St John's in last October's decider to win their first on-field championship since 1971, but they start in the preliminary round against Aghagallon as an unseeded holder. 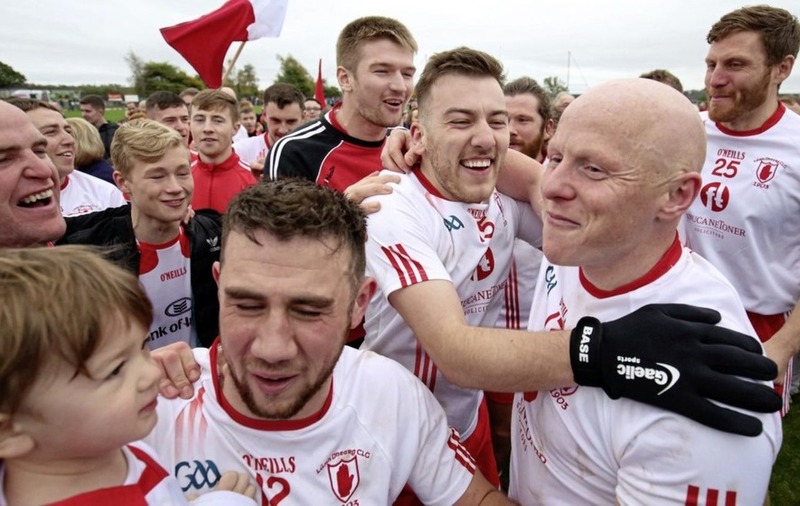 Cargin, who have former Derry boss Damian Cassidy at the helm, will play the winners of that tie in what should be the pick of the quarter-finals. Beaten finalists St John's will face either St Teresa's or St Joseph's, while Creggan – who have also been knocking on the door in recent seasons – will meet either Ahoghill or St Brigid's. The last of the seeded teams, St Gall's, will be up against either Portglenone or O'Donovan Rossa. DUNLOY and Cushendall will face off in the group stage of a new-look Bathshack Antrim SHC, with Ballycastle and St John's meeting in the preliminary round. The winner of that game will take their place in section B alongside Rossa and Loughgiel, while the loser will be eliminated prior to the group stages. Cushendall and Dunloy, who met in last year's decider in which the Cuchullains turned in a coming-of-age display, will be joined in section A by Sarsfields. The top two teams from each group will progress to the semi-finals, where teams who played each other in the group stage will be kept apart.